Dr. Dorin Pogreban is the clinic director of Unison Chiropractic Center. He started his journey in the healthcare field at Northwestern Health Science University, in Bloomington, MN where he received his Doctorate in Chiropractic and Bachelor’s in Human Biology. He trained and received his certification in Chiropractic Biophysics and Spinal Biomechanics as well as additional training in instrument assisted soft tissue mobilization, foot orthotics, postural analysis and kinesiology taping. His mission as a Doctor of Chiropractic is to educate people about the importance of maintaining a healthy spine, bring forth knowledge and information that will guide everyone to experience increased health and well-being. He enjoys working with people of all ages and approaches each patient at an individual basis to treat a wide variety of symptoms from headaches to low back and extremity pain. 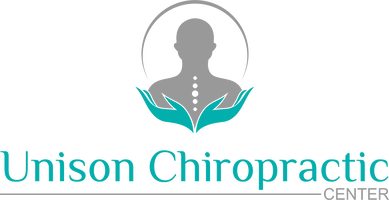 At Unison Chiropractic Center it is one of our top priorities to protect the well-being of our valued patients. Contact us today at 763-421-0436 to request an appointment and see the health benefits chiropractic can make for you.